What’s the Biggest Position the Packers Need to Fill in the 2019 NFL Draft? The 2019 NFL Draft is still about three months away, but it’s the biggest offseason event in the NFL, and already there’s plenty of speculation about what the new look Green Bay Packers are going to do in this year’s version of the pickup of new players for their roster. If you look at the odds and predictions provided by UK betting sites, you’ll see that not many people feel that the Packers will have a big bounce back year with new coach Matt LaFleur, but adding some much needed help in the draft could turn it around sooner rather than later. Plus, the team still have their biggest piece in place, that being a franchise quarterback in Aaron Rodgers, a Super Bowl winning quarterback who has the desire to get back to the big dance once again. If you look at Mel Kiper’s first mock draft of the 2019 draft season has the Packers taking a pass rusher, specifically an edge rusher and a receiver in the first round, which could help the team right away. Last season the team, other than Davante Adams, did not step up at the receiver spot, so taking a pass catcher in round one would make perfect sense. Randall Cobb is getting older, and J’Mon Moore and Marquez Valdes-Scantling are two players who didn’t have much production in 2019. Kiper has the team taking Ohio State receiver Parris Campbell with the 32nd overall pick, a player who could have a solid impact in his rookie season. Last season the Ohio State receiver caught 90 passes for 1,063 yards scored 12 total touchdowns, and he’s a versatile, game-changing pass catcher who can help from day one. Before Kiper says they will take Campbell, he says the team will draft Clemson edge rusher Clelin Ferrell with the 12th overall pick. If you look at a scouting report on Ferrell, at 6-5, 265 pounds he maybe was the best defensive end in college football during the 2017 season. He’s got the ability to get to the quarterback, which is exactly what the Packers need after a season in which they just were not able to get to the QB enough to make plays. If the team follows the formula set forth by Kiper and drafts a pass rusher and wide out, they can right away start to build for 2019, and hopefully put the 6-9-1 record from 2018 well behind them. 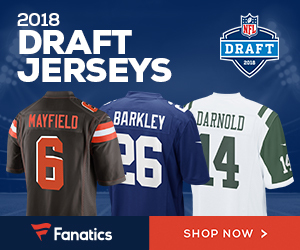 Be the first to comment on "What’s the Biggest Position the Packers Need to Fill in the 2019 NFL Draft?"